Two kinds of witnesses: lay witnesses and expert witnesses. Eyewitnesses to the event may only tell what they saw, heard, felt or smelled; they are not allowed to tell what others have said (hearsay) or say what they think of the case. As a technical witness, on the other hand, an expert is allowed to express an opinion on any relevant issue falling within the scope of his or her expertise. It doesn't matter that the expert was not there when it happened. The expert witness is presumed to be an impartial, disinterested witness who is sin~ply explaining why and how things happen. An expert is someone who knows something beyond common experience who can help you prove something you could not prove otherwise. The most common expert witnesses are professionals, but there are also non-degree experts whose background and experience qualifies them. One might compare the expert to a salesperson, teacher and conmmnicator. The expert's function as a teacher to the attorney and judge or jurors is a critical one. The more persuasive he or she is the better. There are four general reasons why expert witnesses are brought into cases. When required by law. 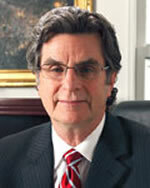 In most jurisdictions, expelt testimony is required in cases involving the negligence (malpractice) of a professional. The expert is required to help the Court and jury understand whether the professional breached the objective standard of care required of a professional. When required by the facts. When the case concerns complex, technological issues that are beyond the training and experience of a layman. When the subject is sufficiently beyond common experience. To assist the jury. The facts may not be difficult to understand but the opinion of an expert may be of some assistance to the jury. When the attorney has a tactical reason for hiring an expert: if the other side has hired an expelt or if the attorney feels the jury might be persuaded by an expelt rather than a lay person. The attorney may wish to use an expert to get otherwise inadmissible evidence before the jury. An expert should be used when the information that needs to be presented to the trier of fact or the jury is of such a nature that the "average person" (one who does not possess the experience, training and education of the expert) is not able to fully understand the specific information to be presented by the expelt so that they would be able to make an informed decision regarding the facts. Using school employees as experts. There are pluses and minuses to utilizing experts from within the school district involved in litigation. On the positive side, they have generally devoted time to the issue and are less likely to be blind-sided. Also, judges and jurors tend to pay more attention to the participants in an event. On the negative side, however, it may be easy for opposing counsel to show that they are not independent and that therefore their testimony may be biased. Keep in mind that although school administrators may make strong witnesses, designating them as experts opens them to discovery, which can be a pitfall. When to use an expert. There is general agreement that an expert should be involved in a case as early as possible: in technical analysis, preparing for deposition, during discovery, analyzing documents in settlement and mediation discussions, and summing up complex facts for the judge or jurors. During the preparation process the lawyer should set a positive tone by providing support, projecting confidence and being enthusiastic about the case. The job of the lawyer is to ensure that the expert knows the case thoroughly, but should not attempt to fashion the expeli's opinion. During cross-examination the expert will be asked how his or her opinions were formed. The expert should be neither just a "yes" person nor argumentative. Also, watch for inconsistencies. Expert should be supplied with everything that might bear on their opinions. Lawyers should not wait until the last minute to do the preparation. Experts should think about possible questions and responses and be wamed about possible opposing tactics. It is important that the expert not be afraid to say, "I don't know." Expert should be assured that it is often valuable that they point out any weaknesses in the case and voice more conservative opinions than to exaggerate the strengths of a case. In preparing experts for trial, lawyers should tell them to be polite, respectful and to communicate: to tell a story, as would a teacher. It is also wise that the expert's message be delivered in more simple language than they would ever believe necessary.